Jerry Brown wins an anti-environment award for the third year in a row. The year 2014 started off with a record drought that was aggravated by the impact of the Bureau of Reclamation and Department of Water Resources draining Trinity, Shasta, Oroville, and Folsom reservoirs to record low levels to fill Southern California reservoirs and the Kern Water Bank. Folsom Lake dropped to its lowest level ever, forcing the closure of the American River to fishing. While February and March were wet months, the drought continued throughout the year, with the exception of a few big storms in December. 2014 was one of the toughest years ever for fish in California history. As a result of the mismanagement of Folsom Reservoir by the Bureau of Reclamation during a drought, Nimbus Fish Hatchery staff counted the lowest number of steelhead ever recorded — just ten fish — by December 29, normally a date when hundreds if not thousands of fish had already returned to the river. For its disastrous water policies and the near-extinction of American River steelhead, as well as its continuing drive to raise Shasta Dam, David Murrillo, MidPacific director of the bureau, receives the “Extinct Steelhead” award. However, the Bureau of Reclamation had some very willing partners in the destruction of California’s fisheries — California Department of Water Resources Director Mark Cowin and Natural Resources Secretary John Laird. As if draining the reservoirs and endangering American River steelhead and winter run Chinook salmon on the Sacramento River weren’t enough, the California Fish and Wildlife’s Fall Midwater Trawl Survey on the Sacramento-San Joaquin River Delta revealed that the Delta smelt, an indicator species that demonstrates the health of the delta, reached a new record low population level in 2014. Department staff found a total of only eight smelt at more than one hundred sites sampled each month from September through December. The survey also revealed the continuing collapse of striped bass, longfin smelt, threadfin shad, and American shad in the delta. The striped bass index was the third lowest in history, the longfin smelt index was the third lowest in history, the threadfin shad index was the sixth lowest in history, and the American shad indiex was the second lowest in history. For their continued commitment to driving delta smelt and other fish species toward extinction, the esteemed “environmentalists” Cowin and Laird receive the “Delta Smelt Destruction Crew” award. On December 9, in spite of intense opposition by fishermen, environmentalists, Indian Tribes, and Northern California Congressmembers, the US House of Representatives passed by 230 to 182 the "drought relief" legislation, H.R. 5781, which would eviscerate protections for Delta smelt, Chinook salmon, and other fish species. Senators Barbara Boxer and Dianne Feinstein and the Obama administration opposed the bill, but you can expect a similar bill to be introduced in the new Congress and Senate this year. 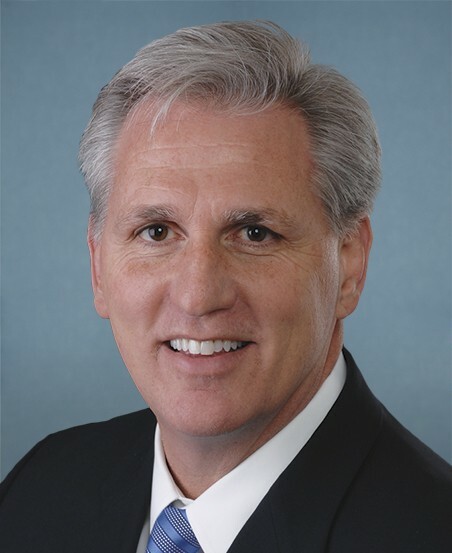 For their efforts to destroy what’s left of the Delta fisheries, Congressmembers David G. Valadao (CA-21), Kevin McCarthy (CA-23), Ken Calvert (CA-42), Doug LaMalfa (CA-01), Tom McClintock (CA-04), and Devin Nunes (CA-22), received the “Corporate Welfare Crybabies” award. On the ocean front, Brown administration officials and corporate “environmental” nonprofits continued to greenwash the fake “marine protected areas” created under the Marine Life Protection Act Initiative, in spite of the fact that the science underlying the process was terminally flawed, according to the Yurok Tribe science team and other tribal scientists, while the process was overseen by corrupt corporate interests. The process was also characterized by its private funding by the Resources Legacy Fund Foundation, its failure to create authentic marine protected areas, and the violation of traditional tribal fishing and gathering rights. The illegitimacy of the MLPA Initiative “science” was highlighted when a federal judge in San Francisco on May 20 sentenced Ron LeValley of Mad River Biologists, the former co-chair of the Marine Life Protection Act (MLPA) Initiative Science Advisory Team for the North Coast, to serve 10 months in federal prison for his role in a conspiracy to embezzle over $852,000 in federal funds from the Yurok Tribe. In February, LeValley pleaded guilty to a single federal charge of conspiracy to commit embezzlement and theft from an Indian Tribal Organization in the complex scheme in collaboration with former Yurok Forestry Director Roland Raymond. For the demonstration of his lack of scientific ethics, we grant Ron LeValley with the “Junk Science Criminal of the Year” award. But we’re not done yet. In spite of calls for an investigation of the terminally flawed science developed by the “Science Advisory Team” under the embezzler’s helm, Chuck Bonham, state Department of Fish and Wildlife Director, and Natural Resources Secretary Laird continue to propagate the “Big Lie” that the process was “open, transparent, and inclusive” and “based on science.” For their "heroic" efforts to greenwash the MLPA Initiative, Bonham and Laird receive “The Big Lie” award of 2014. Of course, we can’t give these awards without a big “round of applause” to Catherine Reheis-Boyd, the President of the Western States Petroleum Association (WSPA) and former Chair of the MLPA Blue Ribbon Task Force to create so-called “marine protected areas” in Southern California. She also served on the task forces for the Central, North Central, and North Coast. The (WSPA), the most powerful corporate lobbying organization in Sacramento, has spent a total of $32.8 million on lobbying since January 1, 2009. The group paid a record $8.9 million on lobbying to eviscerate California’s environmental laws, oppose fracking moratorium legislation, and to defeat a bill to protect the Vandenberg State Marine Reserve and Tranquillon Ridge from new oil drilling. For her service to Big Oil by kicking fishermen and tribal members off vast areas of the ocean while opposing California’s environmental laws, Reheis-Boyd gets the “Oil-Drenched Marine Guardian” award. Always a big contender in these awards, the Westlands Water District and San Luis & Delta-Mendota Water Authority are awarded the “Raid on the Trinity” plaque for their continuing litigation to block the release of Trinity River water to stop an imminent fish kill on the Klamath in August when the water was warming up. Fortunately, due to direct action protests by the Hoopa Valley Tribe and members of the Yurok, Karuk, and Winnemen Tribes, combined with litigation by the Hoopa Valley and Yurok Tribes and Pacific Coast Federation of Fishermen’s Associations, the Bureau of Reclamation made the decision to release the water from the river and stop a massive fish kill from taking place like the one when over 68,000 salmon perished in September 2002. Stewart Resnick, the Beverly Hills billionaire owner of Paramount Farms in Kern County, and his wife, Lynda, have been instrumental in promoting the construction of the peripheral tunnels and campaigns to eviscerate Endangered Species Act protections for Central Valley Chinook salmon and delta smelt populations. The Resnicks made more than $270,000 in contributions to Gov. Arnold Schwarzenegger, $350,000 to support Gov. Gray Davis, and $102,000 to Gov. Jerry Brown. Most recently, Stewart Resnick made a donation of $150,000 to the Yes on Prop. 1 and 2 campaign to make sure the water bond benefited him and corporate agribusiness allies. For their continual dedication to destroying our fisheries while making huge profits off selling back subsidized water to the public, Lynda and Stewart Resnick receive the “Koch Brothers of California” award. Finally, there comes the most prestigious award, the “Cold, Dead Fish.” The common link in much of the destruction and mayhem I’ve described in my articles is Jerry Brown, the worst Governor for fish, water, and the environment in recent California history. Brown has constantly gushed about his "green energy" and carbon trading policies at press conferences and photo opportunities while he enthusiastically supports the expansion of fracking in California and is rushing the most environmentally destructive public works project in California history, the Bay Delta Conservation Plan (BDCP), to build the peripheral tunnels. While the mainstream media and Brown's collaborators continue to greenwash the governor's neo-liberal carbon trading policies, he has, in fact, continued and expanded the worst environmental policies of the Schwarzenegger administration, including exporting massive quantities of Northern California water to corporate agribusiness interests on the west side of the San Joaquin Valley and to Southern California water agencies, while implementing the corrupt Marine Life Protection Act (MLPA) Initiative to create fake "marine protected areas. Brown and his backers in 2014 dumped more than $16.4 million into Proposition 1, a water grab for agribusiness that passed in November. Bill Jennings, executive director of the California Sportfishing Protection Alliance, summed up the water bond as “a poster-child of why California is in a water crisis: it enriches water speculators but accomplishes little in addressing the drought, solving California's long-term water needs, reducing reliance on The Delta, or protecting our rivers and fisheries." Brown and his staff also continued to fast track the Bay Delta Conservation Plan to build the peripheral tunnels, in spite of the fact that the fiasco could violate the federal Clean Water Act and increase harm to endangered fish species, according to a scathing 43 page letter by the US Environmental Protection Agency. If that wasn’t bad enough, the Brown administration, in collaboration with the Obama administration, presided over the near extinction of Delta smelt, formerly the most abundant fish in the estuary, as well as a record low steelhead run on American River. 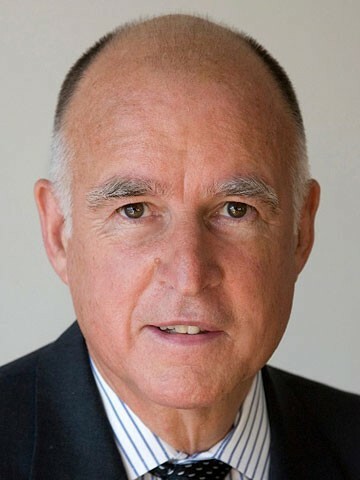 In recent California history, it is hard to find a governor who has overseen more destruction of California's fish, waterways, and environment than Jerry Brown, yet the mainstream media and corporate "environmental" nonprofits continue to falsely portray Brown as a "green" governor. For his continuing efforts to plunder California’s natural resources while posing as a “Green Governor” promoting “green energy” and addressing “climate change,” Brown gets the “Cold, Dead Fish Award” for the third year in a row. For more information about the real environmental legacy of "Big Oil Brown," click here.